1. If your paper was accepted by this journal, please follow the submission template and the review result closely to edit your paper, then resend your paper to: submission@sunjournals.net, declare "resubmit" as the subject. 2. If your paper has been submitted to other journal(s) and currently is under review, please don't submit the same paper to this journal at the same time. 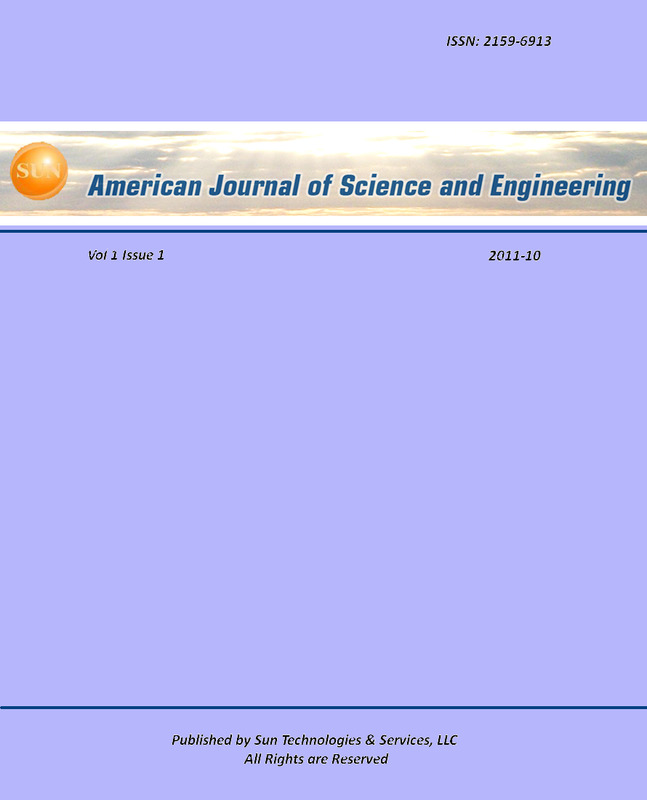 American Journal of Science and Engineering aims to provide a broad space for researchers and students to present their new ideas and research results to the public in the areas of biomedical engineering, computer science, electrical engineering, and related interdisciplinary areas . We hope, through the efforts of the editors and reviewers, this journal can contribute to advance the research in these areas. Submissions are welcome! Each year the journal will publish one or two special issues. To apply to organize a special issue, please send your proposal to the journal. The proposal for the special issue should include an introduction of the special issue, the names, titles and contact information of the guest editors. Please contact special-issue@sunjournals.net for more information. The topics of the special issue can spread wide spectrum. The special issues are especially interested in the following topics: biomedical engineering, computer science, electrical engineering, and related interdisciplinary research areas, etc.